Extra heavy-duty construction -- 1-1/2" O.D. pipe for rugged use. The comfortable 48° stair slope allows workers to descend facing outward. Solid Tread available for 27" only. Any combination of six stair heights and five bridge lengths is available in three standard widths. Custom sizes are available. 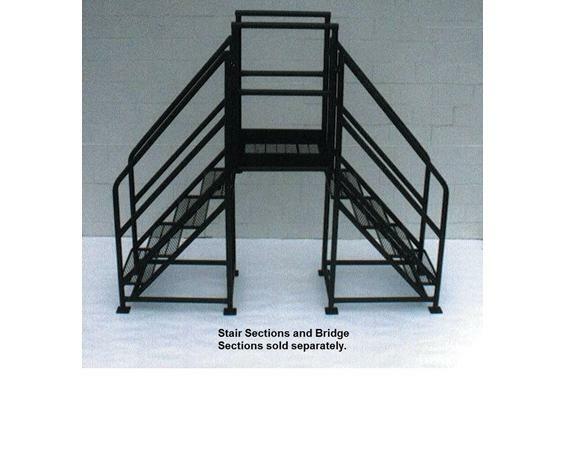 Supplied in three pieces: two stair sections and one bridge. Rated capacity 600 lbs. Built to OSHA code. Gray enamel paint. Available in aluminum. Choose tread style for 27" wide Stair Sections and Bridge Sections: Expanded Metal or Solid Tread (R). Standard step and bridge tread for 31-1/2" and 38-1/2" wide sections is Serrated Grating. FOB Shipping Point. Order a Stair Section (set of 2), and then choose a Bridge Section (with matching width) for a complete unit. 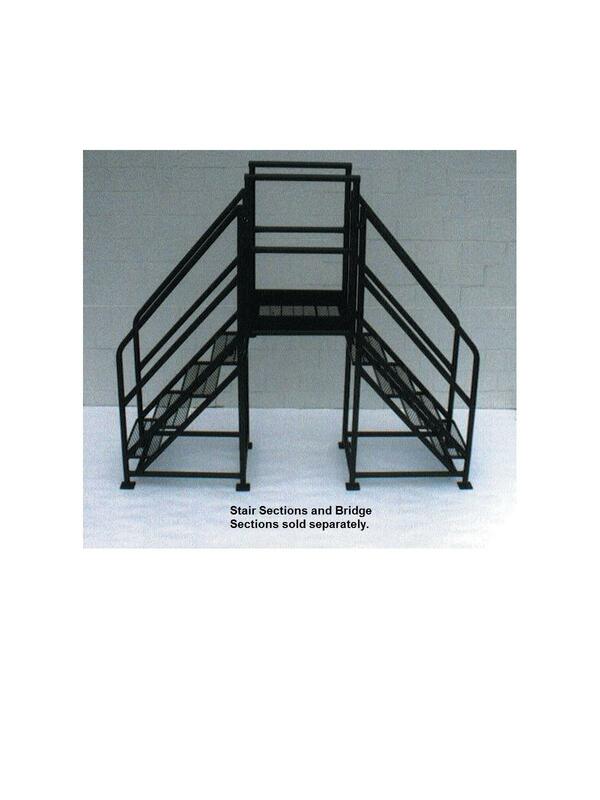 See Related Items tab for Fixed Crossovers - Stair Sections (Set of 2) - 48° Slope.